WOW! That’s amazing how much you are feeling better and how much you have been able to lose. I’ll have to check out her site. I look at the labels on foods much more now and it’s mind boggling what is included. Then I look at the prices of fresh food and, as a person on a limited income, I think, why does the stuff that’s good for you have to be so expensive and the bad stuff so cheap? It should be the other way around. It really should be easier for consumers to go to a regular grocery store and be able to buy healthy food, not over-processed stuff that hurts us. Ah, this is true. I do eat mostly all fresh food. However, frozen veggies keep most of the nutrients as fresh. Canned are cheapest yes, but they are stripped of all the nutrients and jacked up on salt. If you have to get canned, go for the better brands and no salt. They will have been canned under better conditions, and you won’t be getting all that sodium. We are supposed to have less than 2500 mg of sodium a day, the average person has over 4500 mg. A heart attack waiting to happen. My advice to someone on a limited budget, eat as fresh as you can. Just do what you can, and supplement the rest. But try to be smart about the rest. I’m shocked by how much plain Greek yogurt is! yikes. and I have it in every smoothie. plus I love it. Of course, I’m not just a fresh foodie. I have to be careful of my foods. No onions, garlic, apples, pears, honey….it’s interesting. But I eat well. and my tummy feels great! Who knows what all this may have helped. Yep, I may pay more on food, but I pay less on stomach meds. and maybe less on other meds….I don’t know what is helping where. and the book makes it easier. I make meals for 4, then I have left overs. I buy things on sale and freeze things. I’ve been doing pretty good on the cost. I just have to think ahead, and watch the sales. however, food cost in our new town are more than they were in our old town. There is nothing but expensive grocery stores around us. The specialty kind of stores. it’s a bit insane. Gonna have to figure something out. and when you are buying mostly fresh, you can’t order things. I’m so sorry your diet messed you up. I don’t think this diet could mess anyone up. It was just difficult for me to not get a hold of things that messed me up. If it’s available in your area, you can always check out the book from the library like I did. I know you have tummy troubles. This sure did ease mine. Hope your system calms down!! 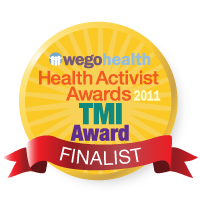 Wendy – thanks for sharing and so glad you are having positive result!! My drugs of choice are refined sugar and carbohydrates. It’s the one area of my life that I’ve not gotten a handle on . . . . well, not just THE ONE area but . . . . I’ll check out what you’ve shared. You are an inspiration. well, I could eat regular sugar….but I don’t. I find when I do I ache. Sometimes I might eat a little. But rarely. I may have a little maple syrup in some things, it has less fructose than any other sweetner. And carbs. Well, I don’t cut them out, I don’t really think about it. No I can’t have wheat, but I can have corn and rice, and potatoes, I eat a lot of potatoes. This diet isn’t about that. The first 5 days you cut out grains….but it doesn’t stay that way. You add everything back in, it’s just to see what you are sensitive to. If you feel you have no food sensitivities you don’t need this. I’m not eating a lot of rice or corn now. I used to eat a lot more rice pasta and such. Just haven’t added it back in yet. mostly because of the weight loss, I think I’m afraid I’ll stop losing. I do have rice now and then, but mostly I have quinoa, not because it’s “trendy” as a friend said recently…but because I really like it. yeah, the diet doesn’t stop me from eating some sugar and carbs….I just don’t eat them because it makes me hurt all over. We all have our vices….mine….I have a hard time not saying dirty words sometimes. But I’m working on it! But wait, I need to have at least one vice!! Does an addiction to cartoons and the Food Network count? Fantastic! Very impressive change in your symptoms and body. And feeling better in the digestive area means that you feel better overall. And when you feel better, you generate energy too. I probably could do the low Fodmaps, but I’d have to check to see if there are any of my triggers already on it. Thanks for the information! And I hope the diet continues to improve your health and make it easier every day to smile! there are a couple of my triggers on it. Like bell peppers, they are OK on the diet, not OK with me. And tomatoes are fine on the diet….raw tomatoes I cannot tolerate. I found I don’t do all that great with radishes, yet they are OK on the diet, and I never knew that, think I will try them again. The big thing is, it’s a guideline. These are the foods in these categories that are safe…but if you are sensitive to the food for a different reason. Like I’m sensitive to raw tomatoes because of the amount of acid in them. And who knows about Bell Peppers but they just do not like me. and think about how many people are allergic to nuts, but you can eat most nuts on this diet. (in small quantities, except cashews) it’s just a different. doesn’t mean you aren’t sensitive to some of these areas too. Darn-it. 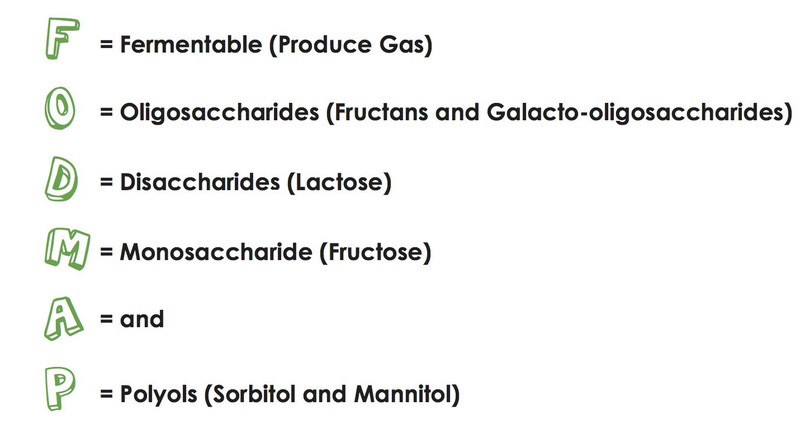 These are a specific group of sugars found in foods. and after you go through the elimination phase you add things back in and find out which of them you are really sensitive too. I know I’m sensitive to fructose because of the test. I also know I’m sensitive to Polyols. Especially, Sorbitol. I cannot tolerate Splenda at all! and I used to eat it like crazy. the tiniest bit now makes me sick as a dog. (I actually think that may have been what caused me to acquire this.) I know I’m sensitive to some fructans….onions. But think I can tolerate lower amounts. seems I can eat leeks. So the thing to think about is, people are different, this is a guideline. 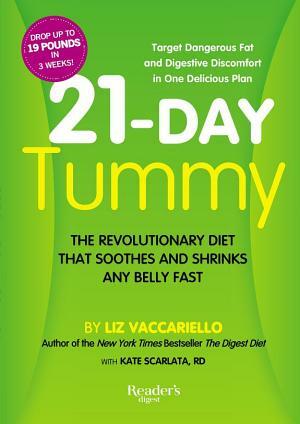 This book is great because it is a great elimination diet….and I was able to do it painlessly. hope you can figure out some things with your sensitive tummy. I just discovered cross-over-allergies. In other words if you are allergic to grass, you shouldn’t eat Swiss Chard. Obviously these cross reactions can shift. I’ve always eaten it when it’s in season. But not any more. I plan to check out what other foods trigger such a reaction. Yes, I’ll still have to make the diet my own. And, as I never feel much like cooking (I’d be the only one eating it), I’ll concentrate on the raw aspect — though I have to be care of that now, too! Good luck as you head forward (and your waist and your weight downward). I know this diet is to make you feel better inside. But looking better as a result of the regime is important too.